Send partygoers on a magical search for treasure at your child’s slumber party. Our cleverly crafted Torchlight Treasure Hunt provides an hour of fun just before bedtime, with clues to solve and games to play. Plus, gorgeous pirate treasures that were hidden more than 100 years ago and are now guarded by a magical sprite … or so the children will believe! The only thing you need to worry about is hiding the clues. The Torchlight Treasure Hunt is a great way to wrap up an evening of fun and games. The kids will expend all their energy in finding the treasure and they will (hopefully) go willingly to bed at the end of it! What’s included with the game? We will provide you with a folder filled with games and activities. All of the activities/games are printed and ready for use. All you have to do is read the instructions; hide the clues and presto – entertainment sorted. An audio file is also supplied and should be saved to a mobile device to play to the children. 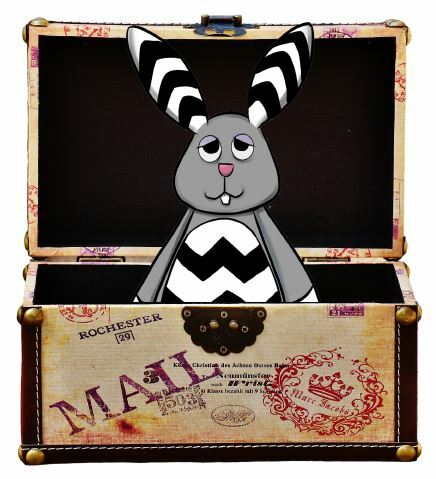 The audio file is very important as it provides the children with the background of the story encouraging them to complete the activities to reveal the treasure before our cheeky mascot, Baxter, beats them to it! Two age brackets are catered for with the game – clues suited to children up to 11 years of age. There are also some harder clues for those wanting a harder challenge and are suitable for those aged 11+. If the children are around 11 years of age, we’ll point out the differences in the game to allow you to make a decision as to which version they complete. Rest assured, you will receive both versions so if they are finding the clues too difficult you can substitute the harder clues for hinted clues. Each child will get to take home the torch they retrieve and also a very special SleepoversRus gold lucky coin (aka the treasure). Our Torchlight Treasure Hunt is available to all SleepoversRus clients booking a slumber package and is priced at $15.00 per child. The game is not available for individual purchase ie without the hire of a SleepoversRus slumber package.